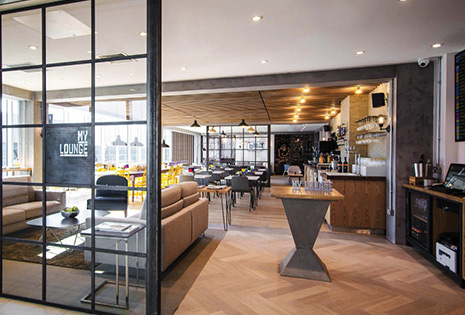 Gripfast is the Tenancy Delivery Project Manager for the redevelopment and fit-out of 22 six-star tenancies at Queens Plaza. Project timelines are short, expectations of quality are high, budget is limited and, to meet a successful outcome, the project team needs to drive outcomes and ensure that the contractors meet their obligations while working in a team-focused environment. Due for completion early 2019. 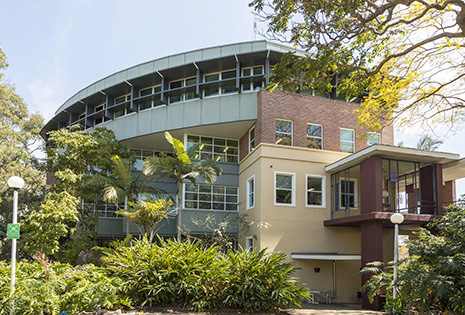 Gripfast is providing project management & superintendency support for refurbishment works at UQ’s School of Oral Health in Herston. 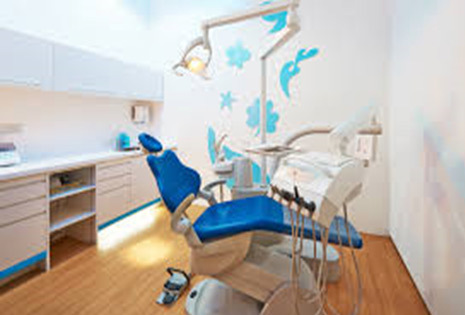 The project consists of a 500sqm technical dental clinic refit, including associated construction and services works, and will also include facilitating furniture/equipment installation. The purpose of the project is to allow and facilitate the relocation of the Brisbane Dental Hospital to the UQ Oral Health Centre at Herston. The main benefit of the integration is that it will provide enhanced clinical training and research opportunities for undergraduate and post graduate students. It will also expand the volume and range of services which will benefit the residents of Herston and surrounding areas. The project is due for completion in early 2019. Gripfast were appointed as the Project Managers and Superintendent for UQ’s Major Services Upgrade project. We have assumed the role as key PM for the scoping, design, and project management of a portfolio of major maintenance and services upgrades including HVAC, vertical transportation, and fire services, including all associated building works. The project complexity is increased because the buildings impacted by the works are across two campuses and include nearly all faculties making stakeholder management critical. In addition, works will be completed on a live campus making management of safety and environmental issues critical. Due for completion in 2019. 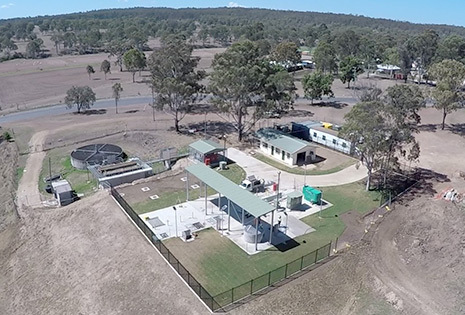 The Cherbourg WWTP and Associated Works project is a series of critical infrastructure upgrades for the regional aboriginal community of Cherbourg. With an approved project budget of $15M, Gripfast were engaged by the Department of Local Government, Racing and Multicultural Affairs to lead a high performing and diverse project team to manage and coordinate the works. The project incorporated constructing a new treatment plant and sewerage storage ponds, relining the community’s sewerage network, an upgrade to four sewerage pump stations and the installation of a 20Ha irrigation system to irrigate recycled water from the treatment plant. The project ran incident free for two years and was delivered on time and under budget. Completed in 2018. 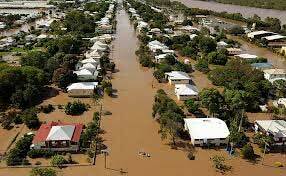 Over the last six months, Gripfast has facilitated the procurement for the majority of contracts for The Village Estate in line with Queensland government’s procurement policy. Gripfast’s contracts manager, Jolene was responsible for setting and managing project deliverables within each contract. 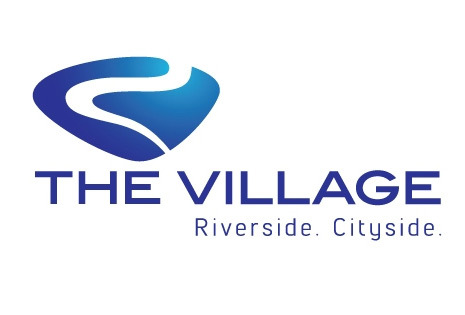 The Village Estate contracts vary from construction, maintenance, professional consultants and marketing and communications. At the development of each contract a risk analysis is facilitated by Gripfast with all relevant parties, and a project risk matrix established. Due to the location of the subdivision, alongside the Ross River, many latent conditions have been encountered. Whilst the conditions varied from soil conditions to flood dumping grounds discovered, each option was analysed and considered, to ensure a value for money option was selected whilst maintaining key stakeholders support. On behalf of Gripfast, Andre has been planning and delivering several projects for Brisbane Airport Corporation across Domestic and International Terminals, including: new lounge for Virgin Australia, upgrade of emergency lighting system, replacement of lifts, roof sheeting and skylights, amongst others. Each project has its own challenges, especially in regards working in a live environment and liaising with multiple internal and external stakeholders. Gripfast is engaged as Project Manager and Superintendent for the Department of Education’s project at Windaroo Valley State High School, which is part of the program to ensure classroom capacity is adequate for the first year of full cohorts across six grades, set to occur in 2020. This project includes the construction of four new general learning areas, one functional learning area and associated staff spaces. Construction is set for completion in 2019. 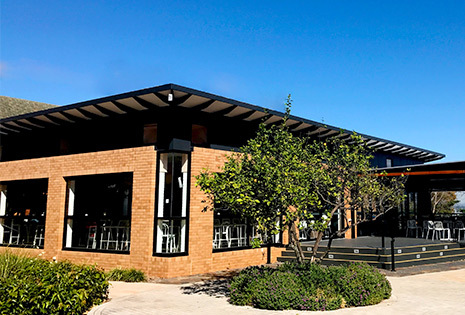 Weemala required an upgrade of its outdoor space so it could work more effectively as a functional entity enabling a cohesive, culturally safe space for its Aboriginal and Torres Strait Islander students. Gripfast provided project management and superintendent services associated with the development of a shade structure for the Weemala garden. The project also included renovation to the flooring and integration of new furniture, landscaping, and facilitating furniture procurement installation. Completed in 2018. 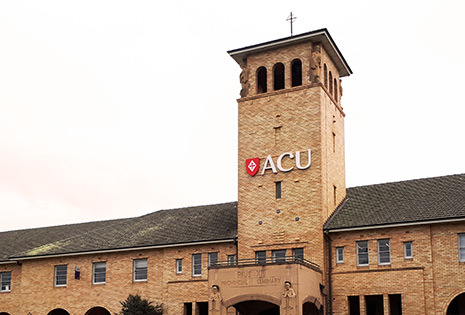 Gripfast was appointed as Project Manager for the delivery of a refurbishment to the Ecco café at Australian Catholic University’s Banyo campus. The project include multiple elements such as replacing the existing shade structure, replacing all windows and doors, and rectification of the deck to meet compliance standards. The project required careful management of the existing tenant, who remained operational throughout the project. Completed in 2017. Gripfast Consulting was the client-side project manager helping MS Queensland manage the contracts and process to ensure that the project was delivered on time, in budget and to the quality standards expected by MS Queensland. Gripfast was also appointed to guide MS Queensland through the design phase of the Springfield project, helping them integrate and facilitate the finer details required in specialised project for residents with medium to high care needs. 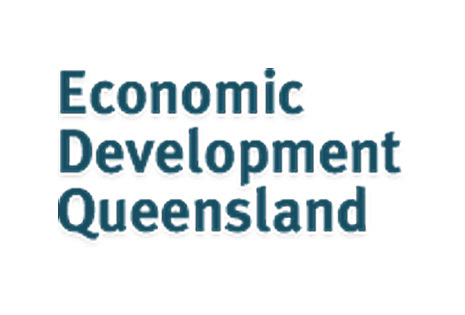 This relationship with MS Queensland has been fruitful for both parties, resulting in State and National awards, and Gripfast’s appointment to advise on MS Queensland’s future projects in Lutwyche and Wynnum. The Springfield project is a development being undertaken with Springfield Land Corporation and will form part of the wider Springfield health and wellness precinct. The project will be a five-storey development with parking and entry on the ground floor, a total of eighteen independent living units on levels 1-3 and a common living area incorporating kitchen, dining and lounge areas as well as a therapy room/gym and staff offices. The design is in accordance with current ‘best practice’, industry standards and MSQ’s high standard of care model. The development will encourage and support independent living while providing the residents with the support and care needed. 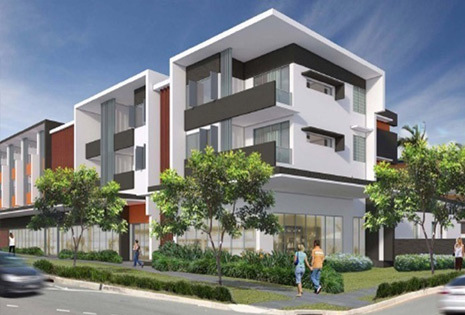 The $13 million Spectrum apartment complex at 616-638 Lutwyche Road will be built on a 4,370 square metre block of state-owned land. Housing provider BHC, is developing the plot into 64 affordable and private apartments and retail spaces and was gifted the land by the government. 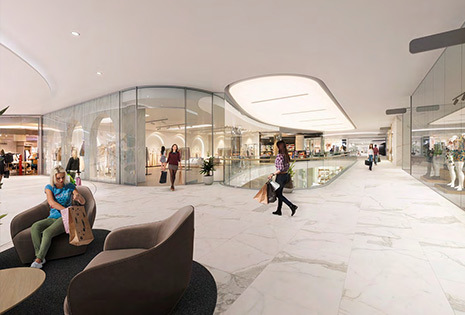 The three levels include ground floor commercial/retail spaces, with 30 of the residential apartments for sale. The Lutwyche project and will include 60 studio, one-bedroom and two-bedroom apartments and retail tenancies in the three-storey development. 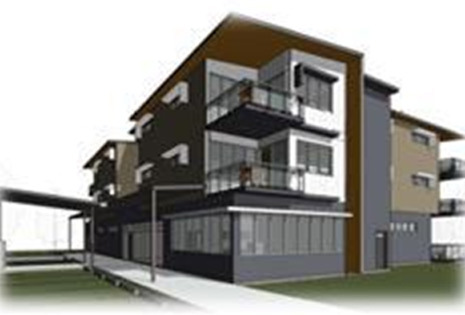 MSQ will own four independent living units in the development, once complete. The project will allow fully integrated living options for MSQ residents. 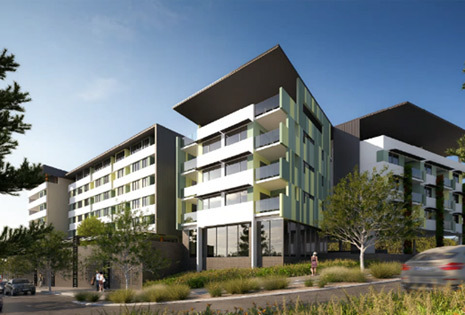 The Wynnum project is still in concept phase but is expected to be a multi-storey development including twelve independent living units with common dining, lounge and therapy/gym facilities for residents. 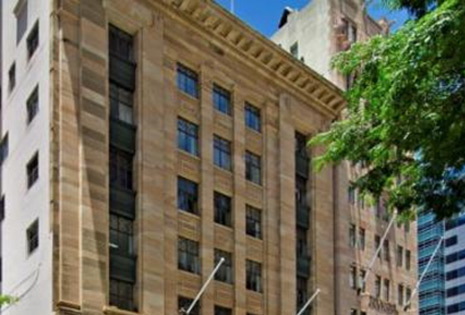 The University of Queensland 293 Queen St project includes the refurbishment of a prominent Queen Street Heritage listed building to accommodate UQ’s Faculty of Business, Economics and Law. 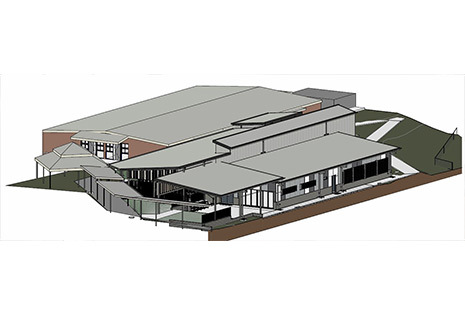 It includes an extensive adaption of the building across three levels to house Faculty, teaching staff and students. The Gripfast team provided comprehensive Project Management services to refurbish approximately 1800m2 to suit the University’s requirements. 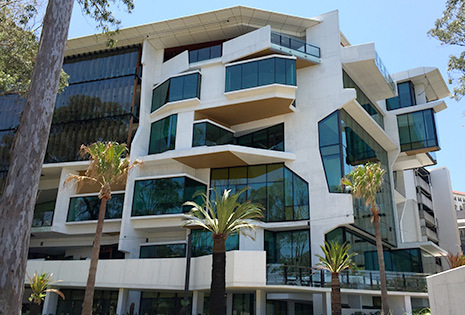 This state-of-the-art facility contributes to the cutting-edge teaching and learning capabilities offered by UQ with the adaptability to meet future MBA requirements. We are excited to be part of such a dynamic project that balances the requirements of state-of-the-art facilities while honouring the heritage listing of the building. The University of Queensland Dental Clinic St George is a tertiary education / health project in cooperation with Goondir Health Services. The project provided a new dental clinic built to the rear of the Goondir Medical Centre in St George. The clinic will cater for up to six patients and both permanent staff and UQ student facilitation. Gripfast have been project managing a research project for TMR looking at the movement of goods and services vehicles through South East Queensland. TMR is developing and using its its transport modelling capabilities to support the Government’s decision making as it grows, connects, and develops or improves key regional economic centres. This project aims to develop and design a new transport model of commercial goods and service vehicle movements. Gripfast have facilitated scoping, design, risk and project management for this multi-million-dollar research project. The project is ongoing. We worked with VVCS to complete a qualitative evaluation of a Community Engagement Pilot program being trialled Townsville. We conducted the evaluation using an evaluation framework that looked at formative, process, impact and outcome evaluation of the pilot. This work was completed on a very tight time line (six weeks) and delivered in late 2018. 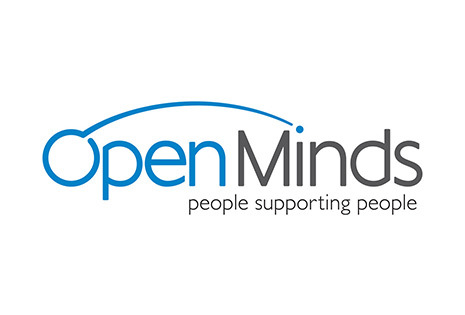 Gripfast worked with Open Minds to develop and draft a Research Governance Framework outlining how the organisation would approach internal program evaluation and potential work with external researchers. This project worked to a short time frame and was delivered in 2018. The purpose of this project was to analyse the high level objectives and operations of key First Responder Organisations interacting with DVA. This was a complex project including a literature review, complex stakeholder engagement, gap and risk analysis and report writing. The project was delivered in 2017. 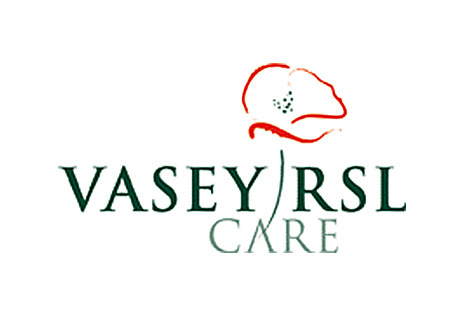 Vasey RSL Care in Victoria asked us to conduct a Victoria specific evaluation of the veteran population and it needs. 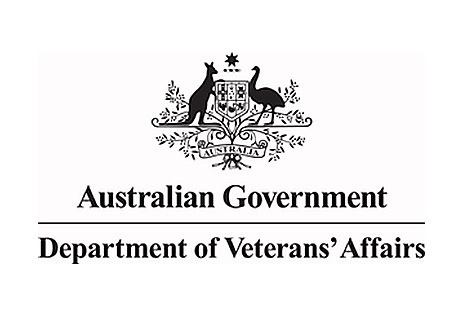 This included looking at the implications of aged care policy for veterans, particularly those nearing retirement and requiring either in home-care or residential facilities. The project included an evaluation of the organisations likely market strengths beyond 2018. The research team designed and delivered this project for the Network which is the peak body representing the Australian and New Zealand services and ex-services health and ageing service providers. 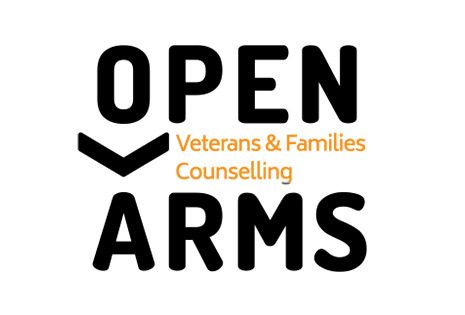 The project developed a shared understanding of the health and needs profile of Australian and New Zealand veterans and current gaps in service delivery to meet their needs. It was presented at an international webinar in 2016 attended by representatives from Australia, Canada, the United States and the United Kingdom. The project was associated with the State, National and Asia Pacific Project Management Achievement Awards. Writing the Planning Guidelines and Specifications Manual relied on the combined skills of the research and project management teams led by Annabel. The Manual will help Youngcare, Government, builders, developers, and individuals understand the costs, complexities, usability and legislative requirements for building homes for young people with high care needs. Gripfast wrote BAC’s winning submission (The G20 Project: an airport within an airport) for the Australian Institute of Project Management Achievement Awards: Defence & Aerospace Category. The submission won both the Queensland and National Award in this category. Annabel consulted to RAND U.S., on the health and wellbeing issues of the Australian Military in preparation for the visit of senior RAND staff with representatives from Defence and DVA. This reflects the broad skills and experience base of the team at Gripfast. Gripfast has provided Multiple Sclerosis Limited with ongoing consultancy advice and support in relation to upcoming potential developments and ensuring that they comply not only with national standards and codes but also represent ‘industry best practice’ in the high care accommodation sector. Gripfast Consulting has worked with Pindan Contracting to develop their capabilities and networks in the Defence Sector. Specifically, the team has focused on building relationships and alliances with US companies in preparation for the US Force Posture Initiative (Northern Australia) scope of works due to commence in 2016. The role with HDR Inc. commenced with HDR’s acquisition of Salva Resources over two years ago and has been an ongoing relationship focused on assisting HDR to develop the brand in Australia. Much of the work was business development related and was focused on growing the company’s engineering capability, exploring strategic acquisitions and building a portfolio of Defence projects both in Australia and regionally. Gripfast Consulting worked with Georgiou to examine the opportunities for the company to grow within the Defence sector and the strategies they could use to grow their capabilities and market share. This took the format of a series of workshops culminating in a brief to the Board supported by a formal report. Gripfast Consulting provides a range of management consultancy, research and project management services to both public and private sector clients across Australia. National Project Management Award Winner!